Once again in 2018 on the tram front the bulk of service is likely to once again be in the hands of Blackpool 159 and London Transport 1858 with support for the rest of the fleet as and when required. Work on Glasgow 488 at the Ffestiniog Railway continues whilst Lowestoft 14 also remains under restoration at Carlton Colville. 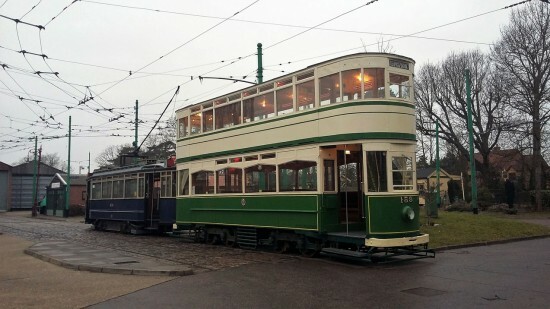 The other trams making up the home fleet are of course Amsterdam 474, Blackpool Marton VAMBAC 11 and Sheffield 513.